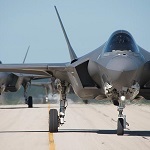 Lockheed Martin‘s aeronautics unit has received a $52.3M contract modification from the U.S. Navy to deliver additional ancillary mission equipment for F-35 Lightning II fighter aircraft supporting the U.S. government and foreign military sales customers. The Department of Defense said Friday the modification provides the F-35 equipment for the Air Force, Marine Corps, Navy, non-defense agencies and undisclosed nations. The award follows a previous cost-plus-fixed-fee delivery order under a basic ordering agreement. Lockheed will receive the full amount for the contract through fiscals 2017 and 2018 aircraft procurement funding from DoD at the time of award. Work will occur in Fort Worth, Texas, through June 2022.